UNDER CONSTRUCTION please go to Sales Office. Available Aug 2019. Carmichael Farmhouse - Site 42. 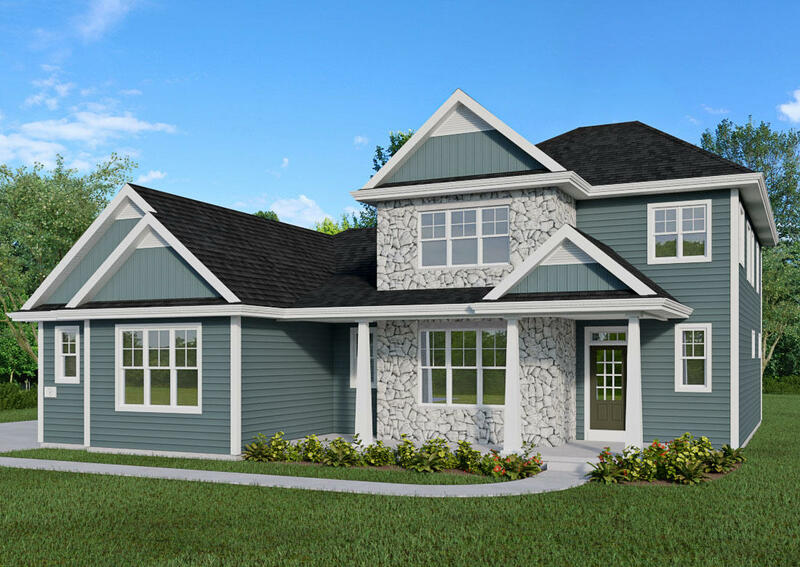 Get the Peace of Mind that comes with award-winning quality craftsmanship & energy that's only found in a Veridian Home. Veridian homes come fully loaded with custom features & the best brands like Auburn Ridge cabinetry & Kohler plumbing fixtures., Wood floors per plan; white trim & 3 panel doors; quartz kitchen counter tops; 1st floor Owner's suite w/tray ceiling; 2nd floor loft; gas fireplace; $5000 appliance allowance; Smart Home wiring; Home Package includes site/home/landscaping/driveway; patio added. Corner site on cul-de-sac. Just north of Milwaukee, the Mequon community is a great place to live. View Mequon real estate information, including school districts and homes for sale.